If you love travelling and exploring new places and sites, then we have someone very special for you at your adda today. She loves travelling to spiritual destinations in India and chronicle them in her diary. She narrates her travelling experiences subtly as she also comes across a reality that there is a thin thread of belief or faith that goes beyond the boundaries of culture and stitches us all together in one colourful garment called humanity. Let us welcome Arti of My Yatra Diary and experience this adventurous journey by reading this interview. A: It all started in November 2009. Whenever we made any travel plans, I would often find it hard to get the relevant first hand customer experience details on hotels and food on the net. Google would throw up loads of links but what was missing were first hand user reviews and even if they existed, they were few and far between. I had the names and the tariffs but what I wanted were the photographs and a personal evaluation from a credible source that would help me decide if I really wanted to stay in that hotel. Absence of that inspired me and gave way to the creation of My Yatra Diary. A: I blog on travel, my yatras – the spiritual journeys that I undertake in India. I try to cover places to stay, eat and shop, all relative to what I myself have done and experienced and try to support them with photographs. Basically, I just share my travel experiences. Besides that I have written a few personal articles as well. A: Yes, I do. There are times when my pen refuses to move and my mind asks for a break. At those times, I either go through my trip photographs or shut out completely depending on the need of the hour. This helps me recharge and get back with a new vigor. At other times, I flip back the pages and go through my own posts and the comments. My readers are my biggest source of encouragement and inspiration for me to continue writing and I feel a deep and a special gratitude for their support, love and motivation. I feel very fortunate and blessed about all of it. Q: You travel to places of religious importance. Infact, your blog started off with a post on Haridwar, the most famous pilgrimage city of India. Is there any reason to follow a niche for your travel? Have you been visiting such places since childhood? What difference do you feel between visiting a spiritual destination and a non-spiritual one? A: I love travelling to places of religious or historical importance. Just to think that these are the same places that my forefathers or ancestors once walked on, gives me a lot of personal satisfaction, peace and solace. Travelling to a spiritual destination is like embarking on two journeys in one go. Besides the physical outward journey, you get the chance of another journey – the inward journey. This inward journey gives me the time to think, to shred my egos and at the end of it all, I feel a sense of contentment, calm and more settled in my heart. There was a time pilgrimages were restricted to people of the old age but I firmly believe it should be carried out when young. That’s when you are healthy and more energetic to do a lot more things with lesser restrictions and can shape your own path. Q: Women travelling alone, to explore places seems to be the new phenomenon. 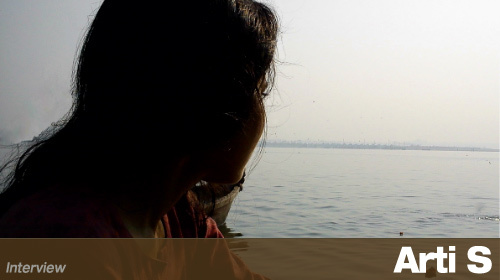 According to you, what are the risks involved, for women travelling alone in India per se? What tips would you like to give to them? A: It doesn’t really matter, whether you are travelling alone, with friends or with family. What matters is how much and what you make of it all, at the end of the day. And different ways work for different people. At the end of the day, it is your journey and your impressions that really make all the difference. As someone who travels with family and is yet to make a travel trip all by herself, there isn’t really anything that I can say in this regard. In stead, on the contrary, I might as well take some from tips from solo woman travelers. Q: Which part of India have you visited the most (after your hometown Rajasthan)? How was the experience, and what did you like the most about it to visit it so often? A: I think that has to be Haridwar and Rishikesh. It is the place where my father spent his childhood and carries many stories related to my grandfather and my father’s formative years. I absolutely love the tales that this town helps me trace each time I am there and I never miss a chance to visit this place. Besides, I have a special affinity for the Himalayas and the River Ganga. I can sit by Her sides on one of the stones and observe her in silence eternally. Even talking about it now is making me highly excited! Q: While you have visited many temples and religious places, you must have come across different cultures, way-of-living, traditions, etc. From Hinduism to Buddhism, you have gathered a lot of information during your travels. Is there any specific piece of information that you think most people won’t know about? Or anything that you have observed? Please share with our readers. A: I don’t know what people might not know but one thing that I have observed is that people of all religions stand on the same base, it amazes me how we celebrate practices and rituals draped in different costumes of customs and traditions but there is always a thin thread of a belief or faith that goes beyond the boundaries of culture and stitches us all together in one colorful garment called humanity. This depth is what amazes me every time I hear or learn more of different cultures, traditions and mannerisms. Q: When you are travelling to places you have less historical information about, do you hire a guide or rather believe in talking to locals to know the essence of the city? What do you think of the guides that you have come across; how do they fair in their job? A: I don’t believe in hiring guides. Though all guides cannot be classified as being pushy but that is how I have always enjoyed it – all by myself. I love being alone. There are places where after you stroll around for a short period of time, history knowing and the finer nuances take a backseat and all that you long for is some time for your own self , with your own self so that you can absorb the atmosphere and carry its breeze along, long after you are gone. Q: Do you feel travel writing is starting to find its place in India? What do you think about the quality of Indian travel writing? What is your take on the tourism industry of India (its growth, contribution to the economy and current issues)? A: As the standard of living in India increased, more and more people started to go out and travel. As they travelled, they felt an urge to share their experiences with the rest of the world. This inspired others to travel as well and so on. So, you see, both industries, blogging and travel, are directly proportional and mutually contribute to the success of the other. Of course travelling often comes with its share of problems and hitches with issues like cleanliness and substandard facilities for travelers at many places, but that is a part and parcel of Indian travelling and many travelers today have become accustomed to it. As far as the Indian travel blogging is concerned, I feel its blooming just like the tourism industry. There are so many great travel writers in India. I cannot even start to name them, the list is so huge. And all have their signature style of compiling and showcasing things and they all are very supportive of each other. I admire their unique ways and try to pick up something from each of them. I have a lot of admiration and respect for our Indian travel writing community and I feel very very proud to be a part of them. Q: Whom do you usually travel with; family, friends, or do you explore it alone? Does the company make a difference, considering that you are into yatras more than travels? What does your family has to say about your wanderlust trait? A: I travel with my family, in fact I have received my wanderlust gene from them and I earnestly thank them for that. My father especially is a complete travel fanatic. There have been so many instances when I have told him ‘You are a real traveler, you should be blogging’. The company of my family does make a lot of difference to me. Many a times, they are the ones who show me a completely different perspective to things that I had tended to completely miss somehow. That extends my boundaries and expands my imaginations. Q: Apart from planning and doing yatras, what are your other hobbies? How do you spend your time when you are not on any of your yatras? Tell us something about your family. A: I like to dabble in arts and crafts and absolutely love spending time in the kitchen. I am still learning but as I am growing, I am beginning to appreciate the art of cooking more and more. Whenever I get a chance, I like to don that apron and dish out something for my loved ones. It is something that gives me immense pleasure and the mere satisfaction that I get from serving a near and dear ones with my own hands is a joy unmeasurable for me. Q: The situation of all holy rivers of India is known to everyone now. Garbage too gets dumped into these rivers. Ganga, Yamuna, and many other holy rivers are also not spared from the pollution. What measures do you think can be taken to lessen the pollution of these holy rivers? What is the major reason for contamination of these rivers, according to you? A: Self Discipline is one measure that needs to be established on an urgent basis by everyone. Rest can/will follow later. The government can bring out schemes but it cannot deploy force to police every individual. It is our responsibility, to not only ask for blessings from our holy rivers but to see beyond our selfishness and take their proper care as well. And this needs to be done communally, where every individual acts as an active and a responsible member. There are two things each individual needs to do- one, do not throw plastic and other garbage into our holy rivers and second, never stay mum when you see someone doing the same in your vicinity. When this will be done, things will start moving in the right directions. I know this might take a lot of time to achieve but we need to start somewhere, isn’t it? Q: Do you also read religious texts, like the Bhagvad Geeta or the Mahabharata? Of so many yatras, what learnings have you gathered? What pulls you to these holistic destinations? Have you considered travelling to likewise abroad places too? A: Not on a regular basis but I do love reading them whenever I can. As a child, my grandfather used to narrate stories to me from one of his puranic books that he had in his library. What learnings have I gathered from my yatras is a difficult question to answer. I guess, the learnings can never be summarized but they all deal with one emerging out as a better person at the end of the day. It is not always the destination that has the pull, many a times it is the journey that is equally drawing and riveting. Like, say for example the Magh Mela in Allahabad. It was an overwhelming experience to be a part of such a huge swell – all making their way forward with a single focus, united in thoughts, beliefs and faith. The real people that we meet during the journey, the interactions that follow… these are often the keys that unlock your views and teach you lessons for life. I never thought of making it abroad until recently when I got a chance to go to Japan, after winning a grand prize in a travel contest. And I must say, this trip has now inspired me to travel to such places more often. A: I blog, appreciate my own work and maintain a high sense of respect for what others do. 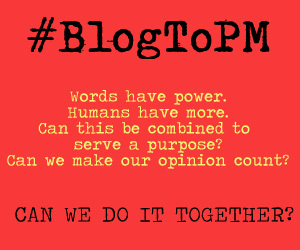 If I like a blog, I follow and try to pen down my thoughts there often. This is what I do in the name of promotion. You can call it whatever you want, but I rather prefer calling it connecting with a community rather than promoting. A: Blogging in many ways is interactive in itself. When I write my posts, I feel like I am talking to my readers and then wait for their responses. When they reply, I like to listen and if I feel that I have got something to say which can add value to their response, I do but otherwise, I just like to stay silent and listen. That is actually a reflection of one of my personal traits that also translates on to my blog. Also, since it’s a travel blog, questions related to travelling are always welcome and I try to attend to them as soon as I can. A: My writing a post – Readers reading them – readers commenting – my feelings on reading their comments –> this chain is the most gratifying aspect of blogging. A: Excellent. I am an avid blog reader and I have a huge favourite list. I am sorry for making this answer sound diplomatic but it is really very difficult for me to choose. It is like asking to filter the best 5 drops from an infinitely vast body of water which is just so unfeasible. A: Follow your heart, believe in yourself and start. Just ask yourself –Am I putting in my best, am I honest with my readers… with myself? One thing that I have learnt from my entire blogging experience is that excellence is bound to come if you are honest and sincere in whatever you do. A: No, I don’t. I actually put up Adsense quite late after I started blogging but I am looking forward to reaching the threshold cut-off period set by Google soon. There are many ways to earn – write paid articles, and a host of other ways to earn through ads. I have yet to explore these options but I might as well look into some of them. A: It’s quite unpredictable actually. With twitter on the scene, there is no doubt that blogging has taken a blow. But then, every day brings with it something new. And for what the future might hold, we have to wait and watch for the answers. TV Show: Kaun Banega Crorepati – First season. Time of Day: Early Morning, anytime after 3 am would work fine for me! Arti, it was a pleasure to have you at our Adda. Discover more amazing places and blog about it. 🙂 We are here to do the rest. Friends, hope you had a great time reading this interview. A lot of interesting things are happening. Do check out our blog and stay updated with the latest happenings at your Adda. 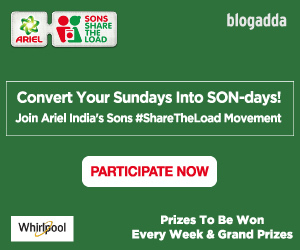 Connect with Arti: Blog, BlogAdda, Twitter. This was a great read Arti!!! Great job Blogadda for interviewing one of the most famous Blogger of India!!! Wow! Nice to see one of my favorite bloggers, Arti here. Enjoyed reading the interview. Very happy to see one of my favourite Travel bloggers featured here. Congratulations Arti! Good going and continue to travel and write! I so enjoyed reading this interview with Arti. It was nice to get to know her more through some really great questions ask. I have been reading her blogs for a while now and love the detail and personal aspects of them. Congratulations on the interview Arti you have so much more to share with the world. so glad to know more about you and really enjoyed the thoughts you shared, Arti. I love also what you have to say about travel and blogging, about the two being directly proprotional 🙂 very good observation, indeed, that is so true! Great to read interview of one of my favorite blogger Arti of ” My Yatra Diary “. Congratulation Arti . Great to travel virtually through your blog, Keep blogging. Thanks to BlogAdda for the interview. Very inspirational as usual Arti. I really learn something new, when I read your posts, comments, discussions and now the interview. And honestly, I do remember what I have learnt and improve myself, my blogging and discussions. :). I am so happy to read about different aspects of travel and writing together with your personal life, your love for cooking. I liked the lines about how different cultures form the colorful garment called humanity..:) Really inspiring one. Sharing on my page. Thanks blogadda for wonderful interview.